Mail4Rosey: Break Out the A&W_It's National Root Beer Float Day! 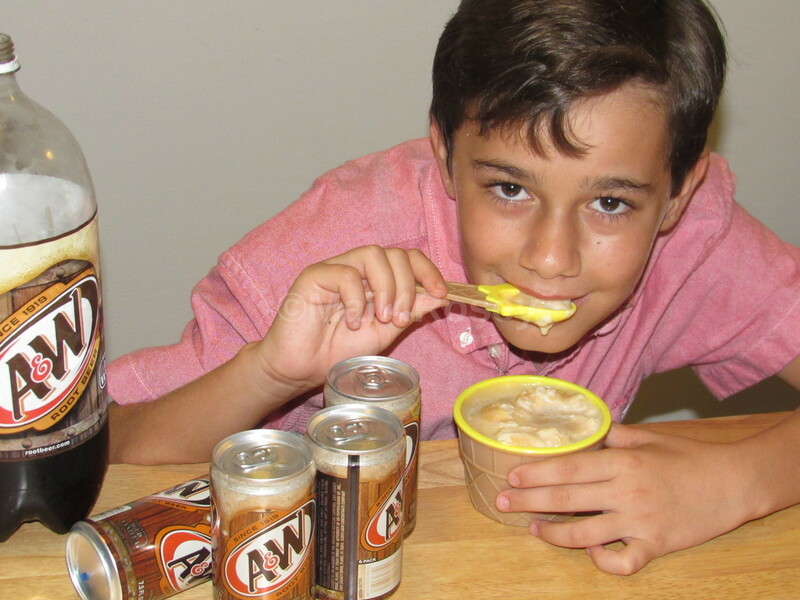 Break Out the A&W_It's National Root Beer Float Day! Disclosure: This is a sponsored post. A gift card and/or compensation have been provided. All opinions stated however, are genuine and my own. 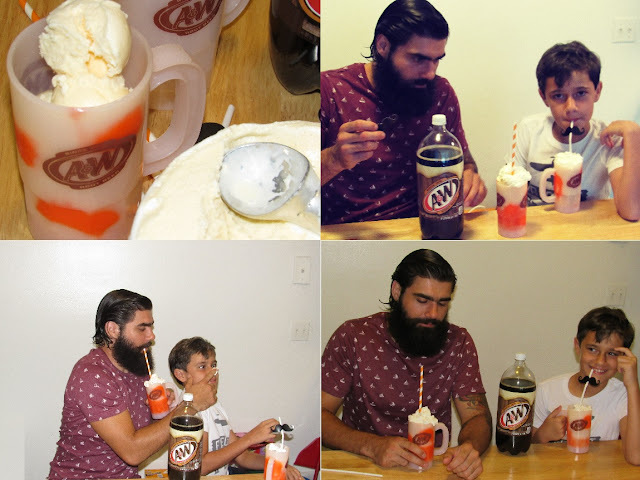 or with silly straws and a silly brother who puts whipped cream on your nose, any time is a good time to have an A&W Root Beer Float, but today, August the 6th, is the perfect time because it's the official root beer float holiday!! Hey, I'm all for these types of holidays if it means we get to break out the ice cream fun. A&W Root beer has a long history of creating family memories, and whether it's just me and the boy, or the bigger kids (who are all grown up and moved out) are home for a visit, I can see why. It's fun to whip up a tasty treat together as a family. The unique, creamy taste of A&W lends itself well for an ice cream drink that is simple to make but can take any family night from great to greater in an instant. If you're looking for float 'how-tos' and/or recipe inspiration so you can join in on the tasty fun, visit their website HERE. Me? I'm headed over to get the Campfire RB Float recipe I just saw. That one looks delicious! In the meantime, cheers from us to you, and Happy Root Beer Float Day! Ohhhh, these look tasty and children are enjoying the day as well. I always felt root beer means just alcohol, but now with your blog, I can take a breath now, it is just like a refreshing drink. I dunno whether my place has root beer or not, if there is, I will sue it on my ice-cream as well once summer arrives. Thank you for the post. I have never had a root beer float. But maybe if I get it here will check. We too have root beer here in South East Asia. One of the iconic drink for rootbeer is drinking with a float ice cream. It was a hit back in the 80's! Break it out and have fun indeed, makes any day work. It sounds so nice to sit down and whip beer as a family! Even though I'm only hearing of root beer day, it would be a nice family affair. If you're going to have a root beer float, it has to be A&W. We have one here and it's ever so fun to go and have a burger and a rood beer float. Childhood memories for me. Your sons are most handsome. My husband just got so excited when I told him it was national root beer float day! Looks like we will be having a delicious after lunch snack today! A&W Root beer is by far the best! Root beer floats are always a good summer treat. My boys love when we make them. I did not know Root Beet Float day was a thing, but that is an awesome thing! I need to make some with the kids to celebrate. I love Root Beer!!! Floats are so good on a hot day! Yum, I just love a root beer float. I haven't had one in ages. I might have to make one today. My son loves root beer but I don't think he's ever tried a root beer float. That sounds really good about now. I don’t think I was ever allowed to have a root beer float as a child ! I never say no to a root beer float. It's one of my favorite summertime treats! I have never had a root beer float. It's a new concept to me. I'm looking forward to try it soon ever since I read it on your instagram..
OMG it has been way too long since I had a clasic root beer float So amazing! I have never knew that this day exist and it looks like a lot of fun to celebrate this day. I will definitely celebrate this with my friends. Who doesn't love a root beer float? I can't imagine. Be well and keep smiling, Rosey. That's so funny! I had never heard of that day before! nor had i heard of root beer float! I love root beer floats! Travis and I vary on them though. He likes his ice cream stirred in, while I do not. I am so missing A and W. It's the root beer we had before. I have never had a root beer float. I'm looking forward to try it soon ever since I read it on your instagram. Happy National Root Beer Float Day! I Iove a well made root beer float! A campfire rootbeer float sounds pretty amazing to me. I've always been a rootbeer fan and make floats as often as I allow myself to indulge. My girls love floats. I'm not much of a fan. Now, all I'm thinking about is making some floats for the girls tonight. 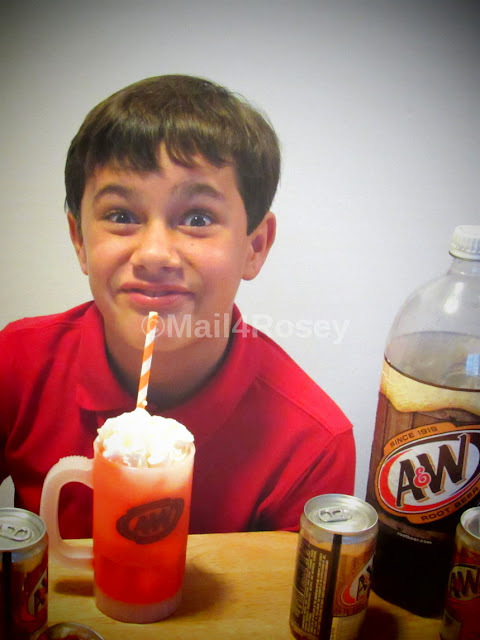 I still remember the first time I had root beer it was in a root beer float and it was crazy amazing. it's one of those things you never forget. I love rootbeer. It's been a favorite since childhood. It's refreshing yet sweet. I'm not a root beer fan but I love a good float. I'll have to make one.